Guys there’s some awesome deals over at Pontins just like their Summer Holiday promotions. You can snap up family holidays for as little as £64 per Family! The Pontins Summer Sale is now on! Book today to receive huge Savings on Family Summer Holidays! It’s Summer time and that can only mean one thing, our amazing Summer Sale is back! This year we have some truly great deals for you and with so many dates to choose from, what are you waiting for? Whether it’s a short getaway or a week long break, we have something for everyone. Throughout the Summer at all of our fantastic holiday parks we have a jam packed schedule of events waiting for you. Our world famous Bluecoats and Kids favourites the Croc Crew will be on hand with lots of fun and games, plus we have some amazing character appearances, entertainers, shows and much more planned this year. Full details can be found further down this page. Check out all the available Summer Sale dates in the tables below and don’t miss our upgrade and half-board catering deals at the bottom of the page. 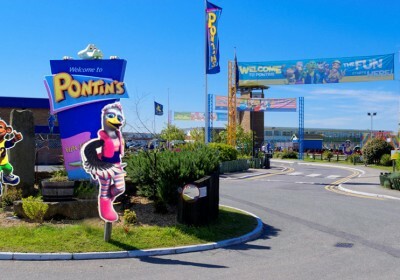 Book now and join us at Pontins this Summer for a 2016 holiday filled with fun, fun, fun and so much more! To book your Pontins holiday, simply click on any of the dates in the tables below. Don’t miss out. Summer dates are guaranteed to sell out fast!